Carry a message in the handwriting of someone dear to you. 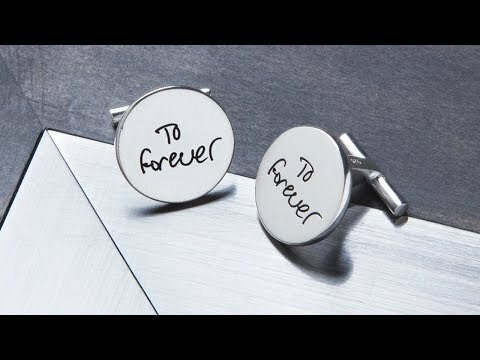 These custom laser-etched cufflinks will memorialize the personal penmanship of anyone you love. 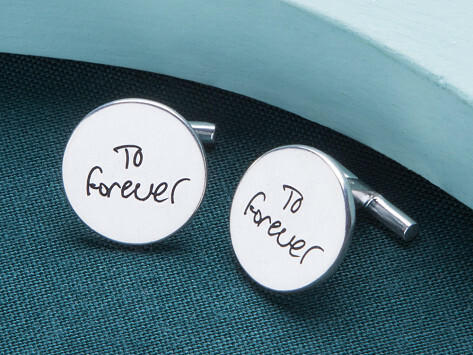 Inspired by wanting to turn a note from her dad into a lasting memento, Maker Teah Keogh uses a handwriting sample to craft one-of-a-kind cufflinks for you.